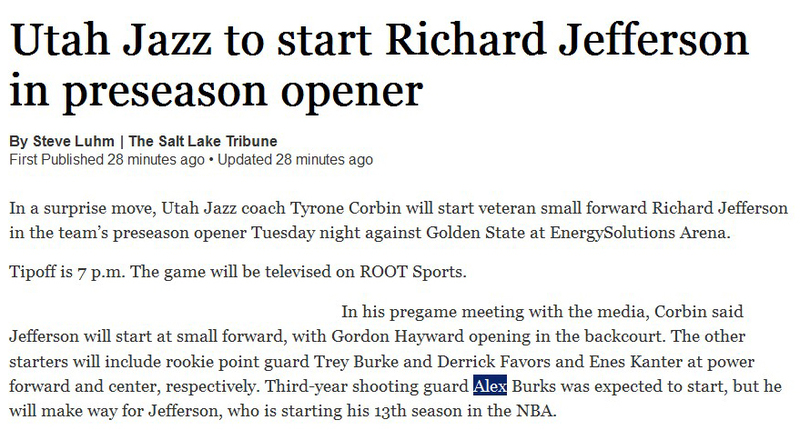 Jazz basketball is back! And fun basketball is here! P.S. You know what I love about this? The shot didn’t go down, but you can see Karl Malone ALL. over. that. It’s been random. You know, real random. Coach Corbin, you know, splits us up, and you know, you don’t really know who’s you know, on what team. Not important to me. You know, it’s just, all I want to do is win. So I think that’s what everybody’s goal, you know, on the team is, is to win. Try to win games, and you know, I think that’s a good way to look at it going into a game. Yeah, I have to. You know, they all mention they look for me to do it. Coach Corbin look for me to do. So Imma have to go out there and set the tone early. Yeah, I’m excited about that, you know? I worked hard the past few years and you know, I’m ready for my opportunity. He come in a lot more serious this year. You know, last year, he kinda, me and him both, kinda took the backseat to Al [Jefferson] and Paul [Millsap], but you know, this training camp, you know, we came in as the leaders. And you know, Gordon came in, he was vocal, he was serious about it. You could tell. Been talking about it, you know, since training camp. You know, time is now for us younger guys, and you know, I think we’re ready. Have to be a leader, like I said. Making sure guys are in the right spots, and providing a little bit of a calming presence, ’cause a lot of us haven’t been in the situation playing a lot of minutes. So that’s what I’m gonna try to do. Had to yell at Turk yesterday, but other than that, not very many. Now, it’s finally my and other young guys’ opportunity, just go out there and just show themself to, you know? Show all the fans and everybody that, you know, we here. I missed the last box out yesterday. So that’s why. ** Boler on the bench: How deep does Ty Corbin go? ** Boler on Hayward: That’s one of his patented moves. Strong to the hole. ** Harpring on malfunctioning shot clock and Trey Burke: This break right now really helps him out, and probably everyone on this court right now. I’ve been there where you’re just so, you go up and down a couple times, and all of a sudden you, the saliva leaves you. And then you’re just gasping for air and you need a break. ** Harpring on Burks: His body control, when he gets up in the air, is so good. ** Boler: Ty Corbin, trying to watch this young team come together. ** Boler on Kanter: Karl Malone said, if this kid can go outside and do damage inside, he’s going to be trouble. ** Harpring on Kanter: He shoots that with no hesitation. ** Harpring: Hayward does a great job of giving it up. 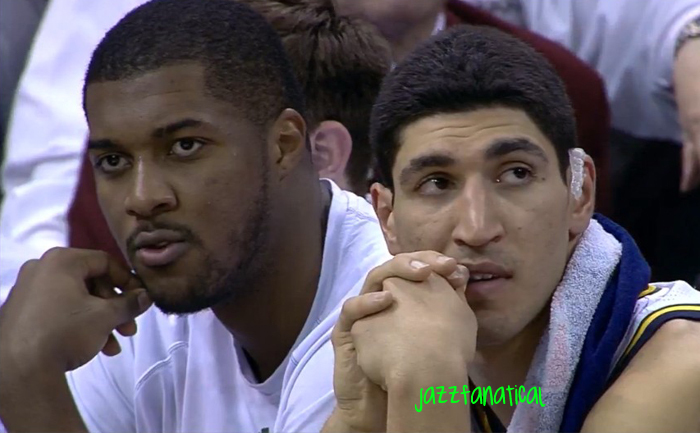 ** Derrick Favors: I’m not quiet. I’m not really quiet, man. I’m not as quiet as y’all think I am. ** Boler on Hayward: He holds his own down low. ** Harpring, asked which Jazz player is most similar to him: I can see myself in a couple of players. 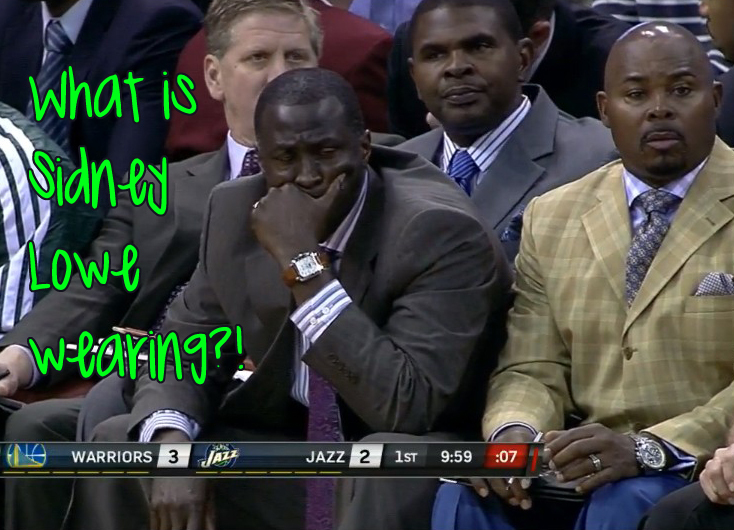 ** Boler: What would they be looking for on the replay? A high, hard one, above the shoulder? ** Boler: Oh-ho. Look at that motion. Lucas is rocking it tonight. 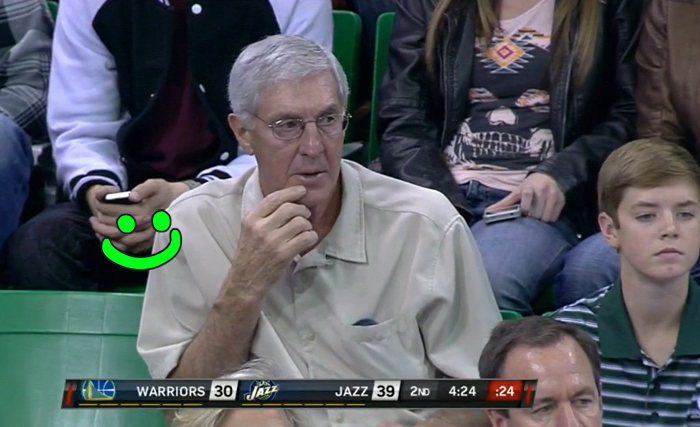 I loved the play last night…but did Alec Burks forget how to pass? He made some AMAZING shots, some of them circusy, but should have passed it out. And it was awesome to see Jeremy Evans getting some extended blow. He somewhere found a jumpshot and was consistently knocking it down from outside. Favors and his shot blocking and overall defense though were the best parts, IMO. Thank you for reading, Jorge! I think maybe Burks felt like he had more of a scorer role on the second unit and also had more freedom to score with that unit?